There is no worse feeling than watching an arthritic dog suffer from pain. That’s why we’re excited to tell you about the new luxury CBD bath bombs for dogs! Kush Queen , the leading luxury cannabis brand renowned for quality, innovative cannabis wellness and lifestyle products, is expanding into the pet space with the launch of Woof Queen, CBD Bath Bombs for dogs. Bath bombs have been relaxing humans for ages. These bubbly delights are filled with all-natural ingredients that help soothe tired muscles, soften skin, and fill you with happiness. The skin is the biggest organ we have, and that means topical or soaking solutions are often the best way to get quick relief. Once the conditioned water begins to absorb into your pet’s skin, it will begin to relieve muscle tension, pain, and inflammation in joints. 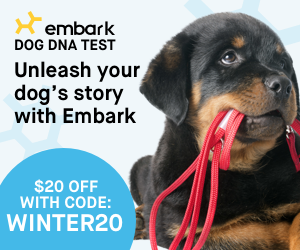 It’s the ideal solution for arthritic dogs, competitive dogs, or any dog that may suffer from pain. 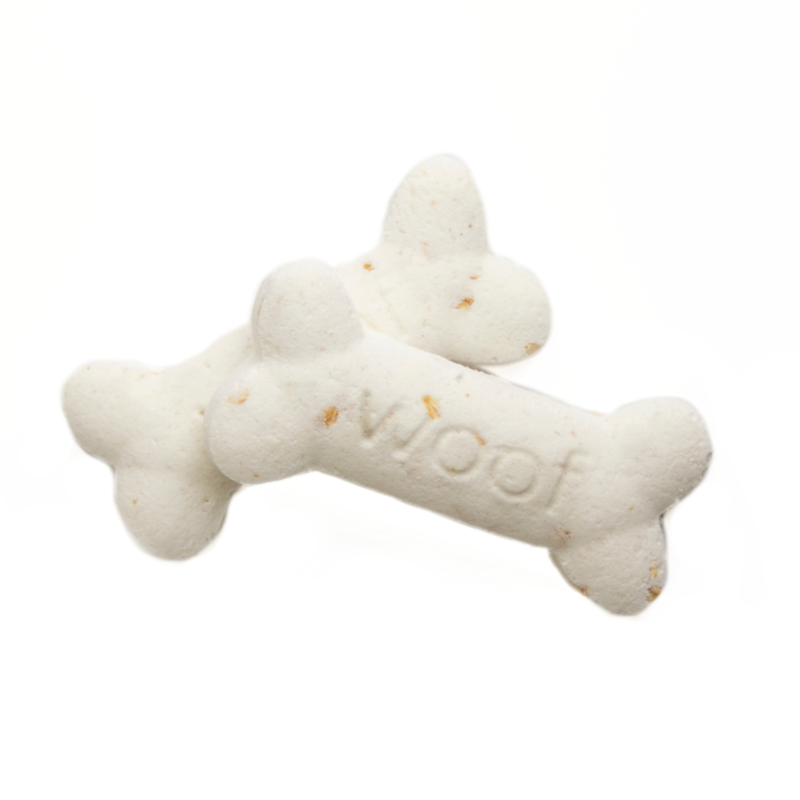 These bone-shaped bath fizzies are ideal for helping your pets relax in a warm bath. Just fill up your bathtub with water, drop in a bath bomb, and let the fizzie help rejuvenate your pets. These luxurious bath fizzies are designed to help soothe sore muscles, condition your pet’s coat (or your skin), and relieve itchy paws or skin. Pure essential oils: Relax features pure, organic lavender essential oil while Relieve offers organic peppermint essential oil. Citric Acid: This is the ingredient that, when combined with baking soda, allows the water to absorb the benefits and transfer that to your pet’s skin. It naturally contains antioxidants that help repair skin and fortify blood vessels. Baking Soda: Ideal for softening hard water, reduce itchy skin or irritation, and much more. Each of Kush Queen’s nourishing bath bombs are handmade with 100% Organic essential oil blends, lab-tested C02 cannabis oil, and CBD isolate with no artificial dyes, or preservatives. Each bath bomb bone is quite large, so if you have a smaller dog, break it into a few pieces and it will last over several baths. For larger dogs, or for yourself, simply drop in the entire bone and soak away your worries! Best of all, 10% of each bath bomb sold will be donated to Rescue + Freedom Project, an organization that celebrates the rescue lifestyle and saves animals all around the globe from laboratory experiments, captivity and cruelty.